Louis Castonguay and his team of editors (six all together) have undertaken a gigantic task in organizing this biography of renowned psychotherapy researchers, the veritable “hall of fame” of the Society of Psychotherapy Research (SPR). Sixty authors were enlisted to chronicle the works of 28 national and international researchers who have been responsible for the major directions and the majority of the studies in the field over the last half century. From personal experience I know that editing such a volume is no ‘walk in the park,’ and having five co-editors does not simplify the effort. Each author was given a standard format to follow in writing the brief—but not insufficient—biographies. The information to be gathered included personal history, early influences, theoretical foundations, major accomplishments, students, and collaborative efforts. Although various authors emphasized different aspects of the outline, for the most part, the chapters reflect a balanced mix of interesting and useful information. The book begins with a helpful overview that lays out the very logical organization of the text. First, the foundations for the scientific study of psychotherapy are represented by the works of Carl Rogers, Jerome Frank, Lester Luborsky, Hans Strupp, and Aaron Beck. All but the latter are now deceased, Luborsky, most recently. Does therapy work? Answered by four outcome researchers: Irene Elkin, Ken Howard, Allen Bergin, and Klaus Grawe, also recently deceased. How does it work? Fifteen researchers are referenced here, with topics divided by therapist’s contributions, client contributions, relationship variables, etc. And lastly, What works for whom? Sol Garfield (deceased), Larry Beutler, Sid Blatt, and William Piper are covered in this section. The common threads that run through the biographies are predictable: academically oriented families—with a few exceptions, notably Bill Piper and Larry Beutler, who was a cowboy in his early years—varied interests before psychology (music for Irene Elkin and Lorna Benjamin, engineering for Les Greenberg), talented students with endless intellectual curiosity. But it is interesting to note the varied backgrounds of the researchers from cultural environments to religious differences. Several were in families that fled the European holocaust. The volume concludes with an ample six-author summary which rounds out the coverage of therapeutic approaches and research centers and looks into future directions. Despite the necessary brevity of the chapters, each includes extensive references, listing the major publications of the researchers. It might be pointed out that despite the separate chapters for each researcher, many have collaborated with each other through the years and some are part of large collaborative studies. This is both a source of elucidation and confusion. At times this reviewer wished for a chart indicating the interactions of the theoretical perspectives, research methodologies, etc. to clarify the relationships among the various researchers. It might be helpful to design a sociogram, which would provide an interesting picture of the clusters that emerge within the ‘families’ of researchers. In reading through the methodologies of the researchers, one is struck by not only the complexities of the researchers’ tasks, but the increasingly sophisticated techniques that are being employed to record and analyze the data. From self-report and observational methods to computing hundreds of data points, researchers have improved the reliability of findings. So, too, sample sizes have grown (e.g., Piper directs a large coalition of international researchers). And findings are subjected to more and more rigorous scrutiny. Certainly it is for the archives and members of the Society for Psychotherapy Research. The work is a great historical document for the Society and stands as a tribute to the founders of SPR. 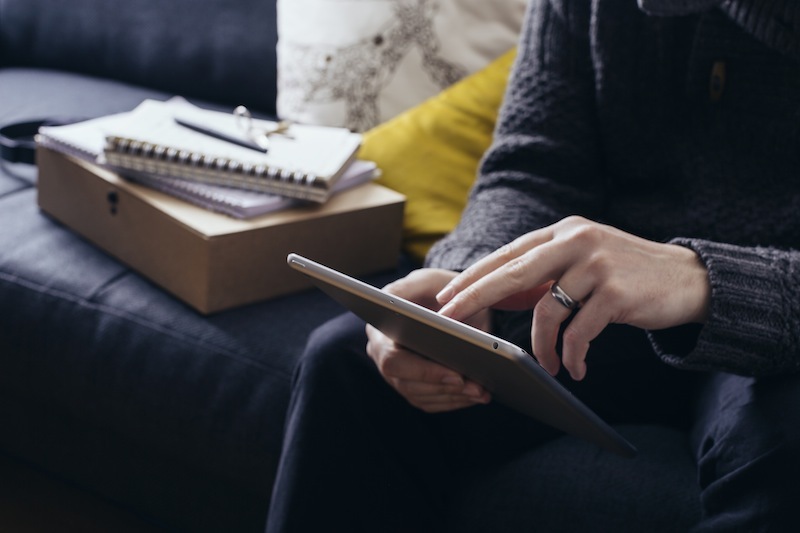 Beyond SPR, advanced students and potential researchers seeking an overview of the field would be enlightened, if not amazed, by the persistent attempts to unravel the mysteries of the psychotherapeutic process. Unlike many remedies that seek to heal physical ills, understanding the complex interactions of therapy presents almost insurmountable challenges. There is no question that somehow much of therapy is successful with many patients. Yet even when it “works” we often don’t know how that happens in any real operational sense. Teasing out the therapist, client, problem variables of the equation, much less the interactions among them, is a daunting task. Castonguay, et al. 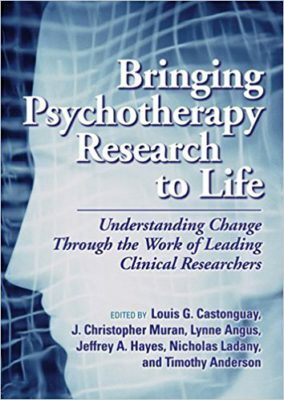 have brought to life the pioneers of the psychotherapy research enterprise, as well as many contemporary researchers who have waded into the troubled waters of investigating this elusive phenomena we call ‘psychotherapy.’ The book is a benchmark that serves as a perfect springboard for future decades of the ongoing study of psychotherapy. For a recent, interesting look at Beck’s work, see The American Scholar, 2009, 78, 20-31. Examining Therapist Training & Development Book Review of "From the Couch to the Circle" Book Review of "Therapeutic Alliances with Families"
I trust that the work of Gordon Paul is included in this volume.